Whether the solar industry, industrial image processing, laboratory technology or microelectronics is involved – further progress would be inconceivable today in many areas without optical technologies. The Optatec international trade fair for optical technologies will do justice to this situation from the 15th through the 17th of May, 2018. Numerous innovations will be exhibited at the Frankfurt International Exhibition Centre. 330 German manufacturers of analytics, biotech and laboratory technology generated turnover amounting to €8.71 billion in 2017. As announced by the SPECTARIS industry association, this corresponds to 11% growth as opposed to the previous year. Positive impetus came from within Germany (+ 14.5%), as well as from the international markets (+ 7.9%). For the current year as well, the prognoses are very good. Turnover increase of a similar magnitude is expected for 2018. Optical technologies enjoy a broad-based industrial footing in Germany. But at the international level as well, photonics, bio-photonics and photovoltaics are on the upswing. “This is a situation which is also confirmed by Optatec, which is becoming more and more international. We’re currently accommodating exhibitors from 32 countries”, reports project manager Karen Waldow of trade fair promoters P.E. Schall GmbH & Co KG. In light of an export quota amounting to 52%, foreign demand is an important basis for growth within the industry sector. More than 40% of Germany’s exports in the fields of analytics, biotech and laboratory technology are currently being shipped to other EU countries. Exports to the USA and China are also within the double-digit range. Important sales channels for the manufacturers currently include industry, the public sector and the fields of pharmaceuticals and chemicals. Roughly 85% of domestic turnover is generated in these areas. “The optical technologies are profiting from ever stricter quality requirements in production, the increasing importance of renewable energy sources and the growing pharmaceuticals and healthcare sectors”, explains Ms. Waldow. Optatec’s concept is above all targeted at covering the high-profile trends. According to the project manager, all Schall trade fairs are based on the principle of offering concrete value through the application of the exhibited technologies. In order to promote the transfer of scientific knowledge to practical applications, Ms. Waldow places great importance on a supplementary programme which showcases best practice. Visitors who are interested in further training or would like to establish new contacts can participate, for example, in the Optatec exhibitor forum. The inspiring Science Slam held by OptecNet on Tuesday will present knowledge in a new format in an entertaining manner. The Optical Systems Design Conference held by SPIE Europe will be an absolute highlight, and will take place concurrent to the trade fair. 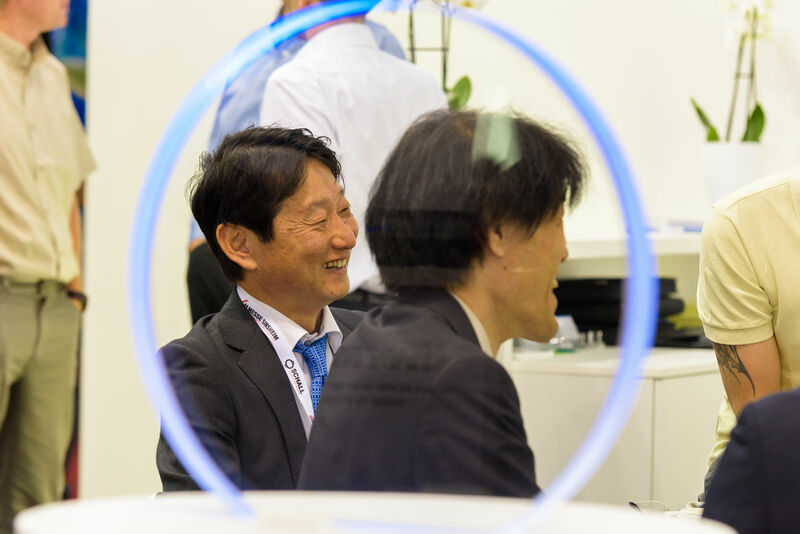 Numerous workshops and presentations at which exhibitors will report on their experience, and where colleagues as well as visitors will be invited to do so too, ensure an ideal transfer of optical technologies to routine daily work. Nor will the fields of human resources recruiting, basic training and further training be short changed at Optatec. The “Study Photonics” training and research technology park will be held by five highly committed German universities. Primary attention will be focused on target groups including pupils and students.